Is your home is well equipped with all occasional sitting and dining setups? Are you having all in hands to handle an unexpected rush of guests? Are your truly lacking of some custom furniture pieces for occasional use? No need to worry about all this, just rebuild the pallet now to design every furniture piece you want in custom dimensions! This extra large DIY black color pallet dining table is really hard to beat and can let about 10 peoples to sit around it for a delicious dinner! If you want to accommodate more people, then you can simply get a bigger size by prolonging the sizes of top pallet planks! 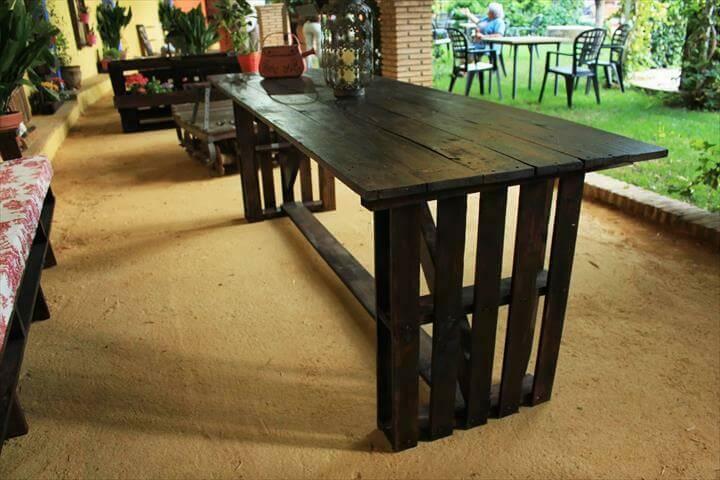 Legs are solid and highly unique and are made of half cut pallet boards, it can stand well and has also the capacity to handle a lot of weight to sturdy legs addition! Dark walnut stain has been used for overall smooth finish and also for a overwhelming wood tone! 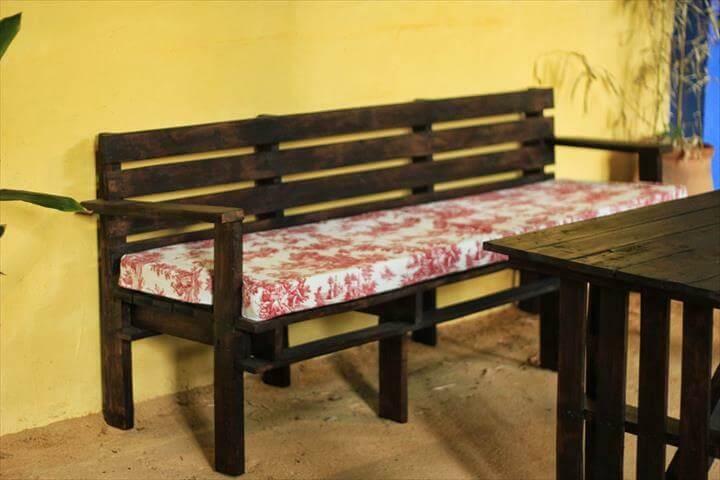 Don’t forget to build also the DIY cushioned pallet sofa which can either be positioned in table sides to sit around the table for dinner or just place it in your garden or at front porch area for all time great sitting and daydreaming! Stain is also a great choice for great wood protection along with a charming wood color! This dining table has been finished with dark walnut stain and can live for many future years! 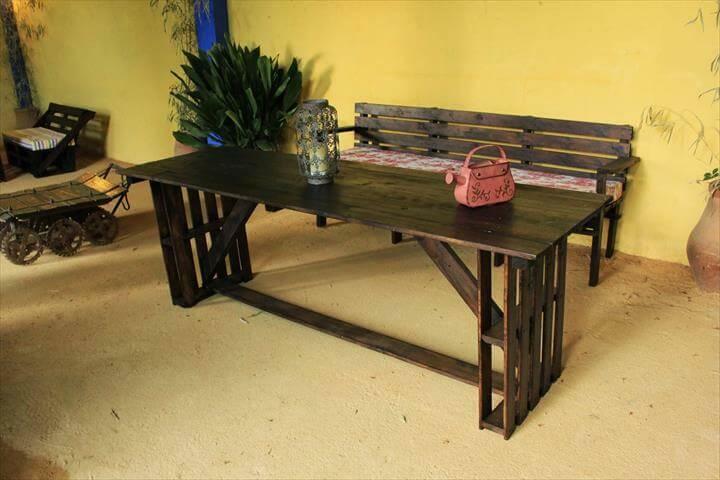 A perfect cushioned 3 seater has also been build with pallets to sit around the dining table or just add it to your front porch for sitting and daydreaming! Removed pallet slats have been used to build up the grand top while two pallet halves provide the lasting legs to table!